I still haven’t found one of these at a price I can afford. Rather than leave a blank space, though, I have included this nice example from a recent auction. #242 was only available for a year and came in this mustard colour. I have no real idea why Corgi made this to replace #240. 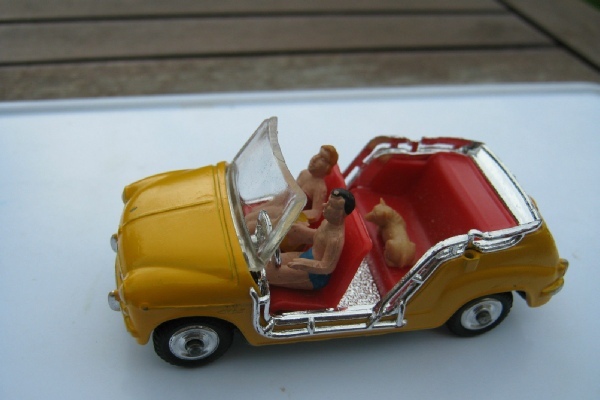 They have removed the canopy and added a Corgi dog on the rear seat. The holes for the canopy posts remain!